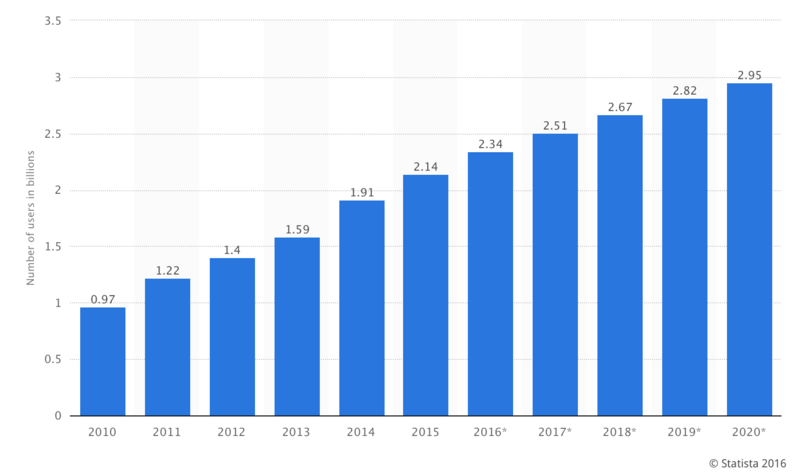 Up from 1.91 billion in 2004, with the most popular social media platform being Facebook2 with 1.71 monthly active users and YouTube becoming the second biggest search engine, bigger than bing. If your business is not on social media, you may be falling behind! Social media has several benefits for businesses, big and small, included increased brand awareness and loyalty. It provides businesses with more opportunities to convert leads by increasing inbound traffic to websites. Lastly, social media platforms are free so it is a low cost way to market your company. Hubspot3 has found that Social media has a 100% higher lead-to-close rate than outbound marketing. 84% of B2B marketers report that they use some form of social media with 83% claiming that social media is an important part of their business. That being said, just using social media is one thing but having a social media calendar that is optimized is the key to marketing management and maximizing its potential. Creating a calendar helps take your social media marketing to the next level and can make quite a difference in your conversion rates. 2. Best Date and Time. Lastly it is important to post content that will convert. The best social media content will inspire your audience to take action and therefore become marketing qualified leads. In order to do this, recognize that there is some content that converts better than others. Images convert at a much higher rate than plain text posts, for instance on Twitter, an image post is retweeted at a rate of 150% more than a text post. Make sure that you include a call-to action in your posts, this raises the urgency of each post so that your audience is compelled to act. Lastly, make sure that your posts are relevant and, as much as possible, entertaining. By following the three rules above you will be well on your way to understanding social media and using it to its fullest potential. You can also optimize your social media marketing management by using a scheduling tool like Hootsuite to keep your posts organized across various platforms. To find out more about how to create your own social media content calendar contact us today! Is Google+ worth it for business to business?